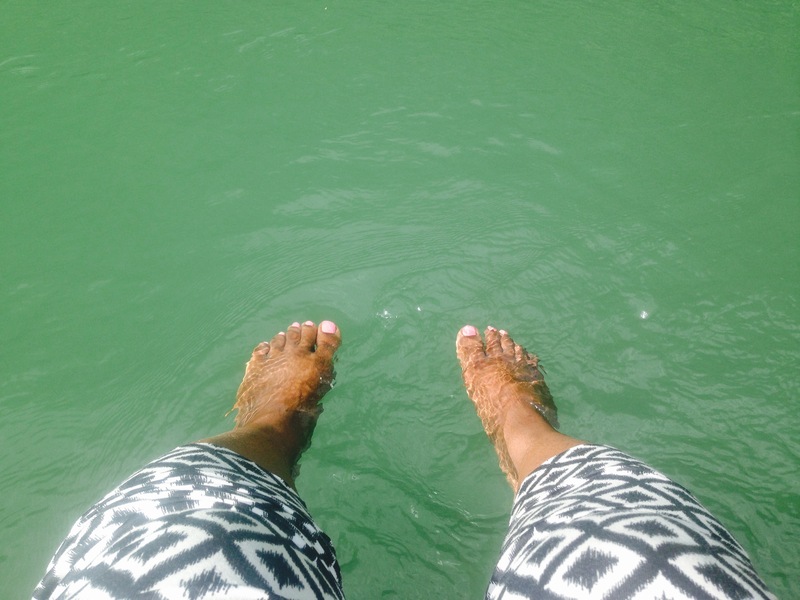 The first time I went to Jamaica, it hugged me and felt like home. So when I was thinking of a place to go on a trip for my birthday, the lush Caribbean island naturally landed at the top of my list. 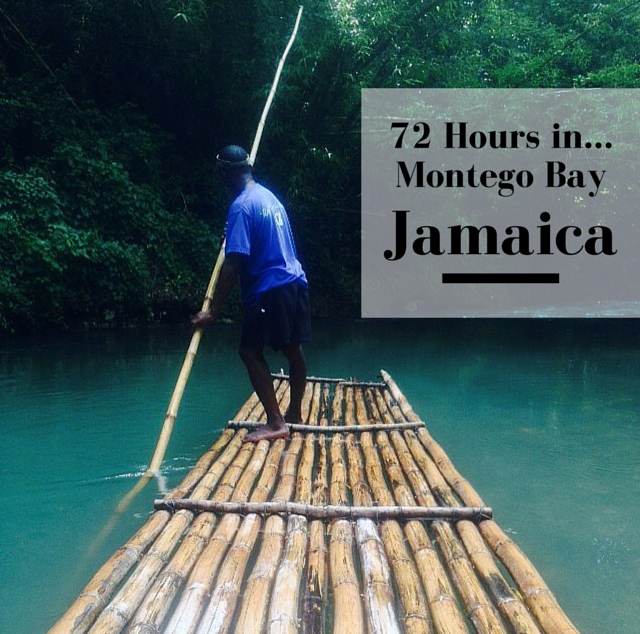 Choosing where to go in Jamaica was also an easy choice because I’d had my eye on a newly opened resort in Montego Bay for months. While I had my initial reservations about taking a solo trip, it really turned out to be an amazingly refreshing and rejuvenating experience. I needed to give myself the permission and space to decompress, be silent and not have to stick to anyone’s schedule but my own. So I left the stress of the daily grind at home and decided to show up and be fully present for myself. Once I arrived in Montego Bay, I was escorted to the hotel’s airport lounge and greeted by a woman with a warm smile who approached with a tray of chilled hand towels like she somehow knew just what I needed. “Ahhh, I could get used to this,” I thought. I stayed at the new Hyatt Ziva Rose Hall. The Hyatt Ziva and Zilara Rose Hall, which opened in late 2014, is a 5-star all-inclusive resort situated along 1,200 feet of private Caribbean coastline. I stayed in an ocean view king room (check out the view in the video above) which was an amazing choice because I was literally steps away from the the ocean with waves that sounded as if they were gently crashing into my room. The room itself was a decent size and was nicely decorated and broken down into three sections with a nice-sized bathroom, the king size bed and desk/vanity area and the media lounge space. There was also a comfortably furnished balcony (pro tip: take a nap there at least once during your stay). Aside, from the beauty of the room, I literally could not have been happier. The staff was amazingly accommodating and made sure any need was met. 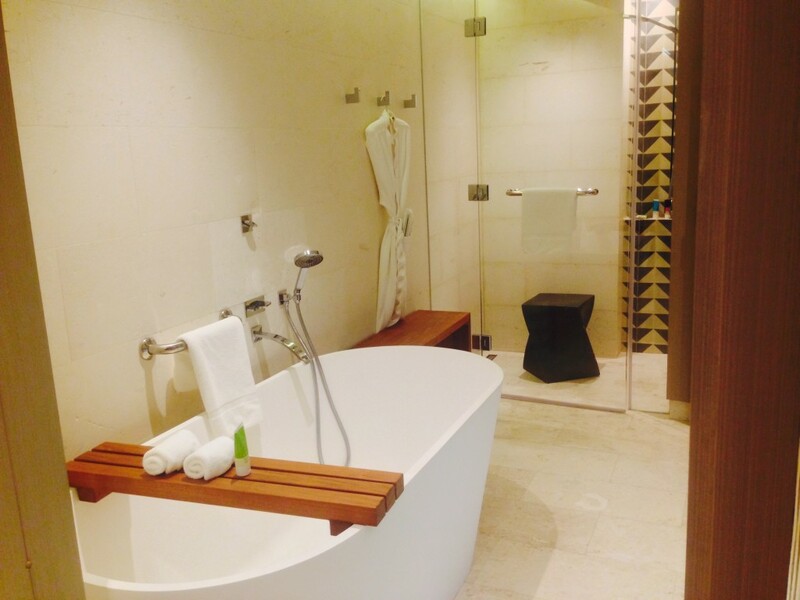 Most of the basic amenities you’d expect at a resort were already provided or available to you and they also have specially themed nights or events to enhance your stay. Not to mention, each guest also gets a free round of golf at a nearby Country Club. The weekend I went was full of pleasant surprises. First, the resort erected a huge screen on the lawn between Ziva and Zilara to stream the Mayweather vs. Pacquio fight complete with an open bar (top shelf drinks are included any way) and catered buffet. Another unexpected surprise took place after the fight when I took a late night stroll along the beach and found a group of guys setting up a large stage. I asked them what it was for and they told me that there’d be an R&B concert the next night featured Keith Sweat, Joe and others. As a self-proclaimed, R&B music connoisseur, this was literal music to my ears. The “concert” actually turned out to be a private birthday party for an African dignitary, but by some stroke of luck or just the goodness of serendipity I was able to attend the party and get a bird’s eye view of some of my fave R&B crooners: Keith, Joe, Blackstreet and Dave Hollister. I could squeal just thinking about it. With that being said, I highly recommend staying at this resort. Anything could happen! 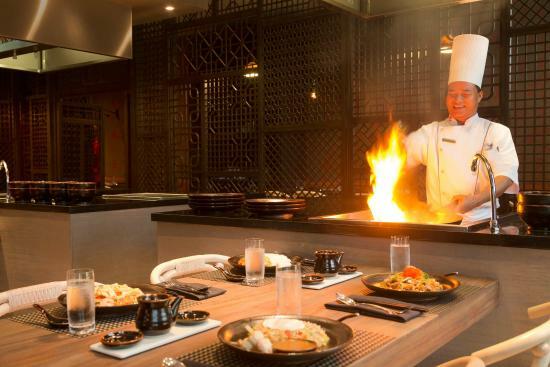 There are more than eight (8) dining options available to you at the resort, from fine-dining at a Brazilian-style Churrascaria or Fuzion, the resort’s Asian restaurant (my personal favorite) to the walk-up Barefoot Jerkz jerk shack next to the ocean. There is something here for everyone. And, if you find yourself craving a late night bite, room service is served around the clock. If you’re in Montego Bay, take a ride over to Trelawny and go on a bamboo raft down the Martha Brae River (video above). This was single-handedly the most relaxing thing I’ve ever done in my entire life. You can book this excursion at the activities desk in the resort and all you have to do is be ready at the front door when the guide arrives. You’ll stop at a few nearby resorts to pick up other guests and then you’re off for a 20-30 minute ride out to the Trelawny parish. As you come upon the river you’ll be instantly taken by its majestic beauty (can you tell I love being near or in the water?). You’ll have a chance to order a drink or check out the local wares that are for sale next to the river while the raft captains prepare for your ride. Once you get on the raft, just sit back and relax and enjoy the view, the sounds of nearby wildlife and the locals you’ll meet along your route who will try to sell you beautiful hand-carved art made from the bamboo. At any point along the way, you can ask your raft captain to stop the raft so that you can go for a brief swim. This ride can literally be done at your own pace…within reason of course. I didn’t have time to switch into my swim suit before I left, so I didn’t get a chance to take a dip, but I did stick my feet in the water. Chukka White Witch Zipline Tour in Rose Hall. I also did the Chukka White Witch Zipline Tour in Rose Hall. “It’s going to be great,” they said. “You’re going to have so much fun,” they said. I’ve always considered myself an adrenaline junkie, mainly because I love roller coasters…so I thought oh wow ziplining seems like a fun thing to do, might as well try it while I’m here. I would soon learn, that this was a stupid thought. Everyone around me was having the time of their lives, including the two little boys under 8 but I literally was praying for my life on each platform. At the highest point you are about 1,800 feet above sea level. You can see the sea and the entrance to heaven which means that you’re too damn high off the ground. I missed a small opportunity to ditch the tour and head back to the hotel but once we went over the safety guidelines and took a ride further up the mountain, (so far that there was a man riding a horse because aside from the special truck we were in…no regular cars can drively safely there), I was stuck. So I decided to push through it, praying every step of the way. I was terrified and also completely silent. The tour guides were chiding me to talk on each platform but the most I could do was whisper “please don’t talk to me right now, I’m terrified, I just need to get through this.” They laughed. I sneered. There are about 10 platforms which include two (2) drop down descent lines (why Lord?). When we made it through the last platform I was literally shaking. But happy to be alive. 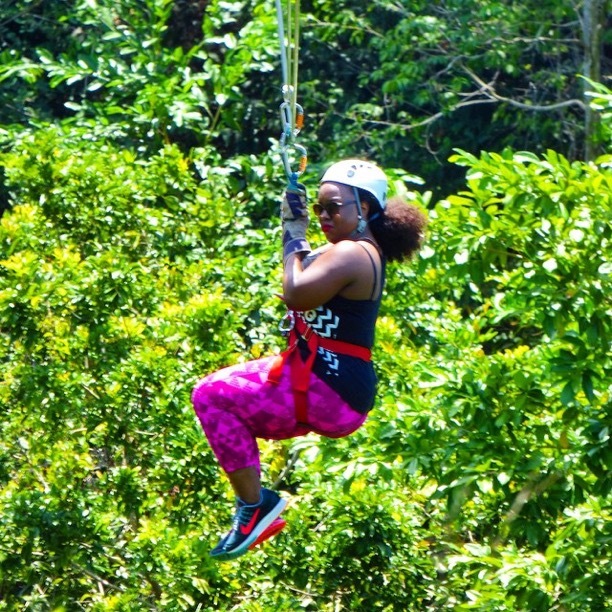 If you’ve never gone ziplining before or if you just love it, I’d recommend doing this tour. For me, it was a bucket list item I never knew I had or needed because I will never go ziplining again. All in all, this trip was so relaxing that I forgot to book an appointment at the spa. I would have loved to experience that and will add it to my list to do next time. 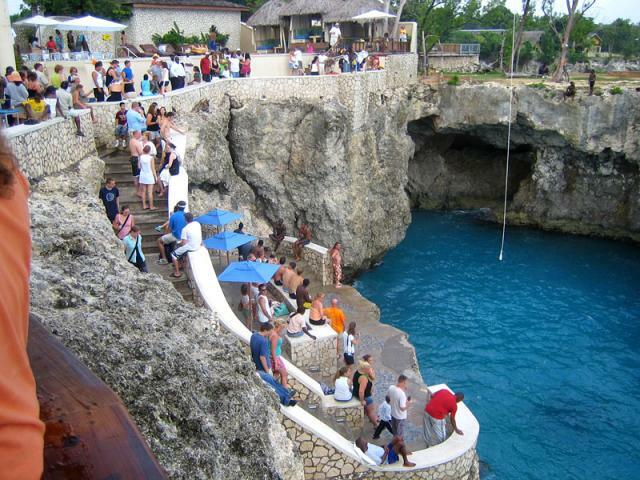 I would have also loved to see Dunn’s River Falls and take the trip over to Negril to go to Rick’s Cafe. I’m mentally preparing myself already for the cliff jump experience. I love Jamaica. If you ever get the chance to visit, don’t hesitate. You will not regret it. You will actually come back to this post and thank me later. That’s how great it is.